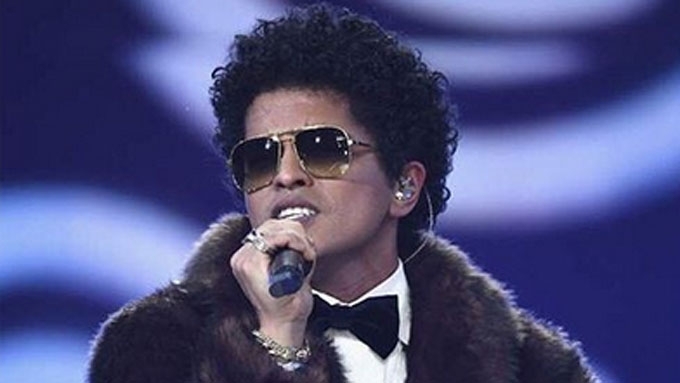 Will Bruno Mars be performing at the Miss Universe pageant? Will Bruno Mars be performing at the Miss Universe pageant in Manila? Tourism Undersecretary Kat de Castro reveals that Bruno Mars will not be performing at the Miss Universe Coronation Night on January 30, 2017.
International singer Bruno Mars will not be performing at the Miss Universe coronation night on January 30. This was announced by Tourism Undersecretary Kat de Castro earlier today, January 15, during a radio interview on DZMM. She explained, “Meron siyang world tour pero kung si Bruno Mars lang, he really wanted to come. It can be recalled that last November, Tourism Secretary Wanda Teo said that a well-known international artist with Filipino roots will be performing in the pageant here in the Philippines. Reporters present at the press conference then asked if it will be Bruno, whose mother is a Filipino. During that time, Sec. Wanda did not confirm or deny anyone and remained mum about the identity of the singer. Sec. Kat pointed out that those who will watch the pageant live at the Mall of Asia Arena will not be disappointed since other international artists will fly to the Philippines to perform. She said, “International standards tayo. Hindi pa pwede [sabihin] kasi gusto ng Miss Universe sila [mag-a-announce]. She also said that the Miss Universe Organization will announce the performers as well as the judges after all the candidates have paid a courtesy call to President Rodrigo Duterte on January 23.